>> Player in a 2 groups. 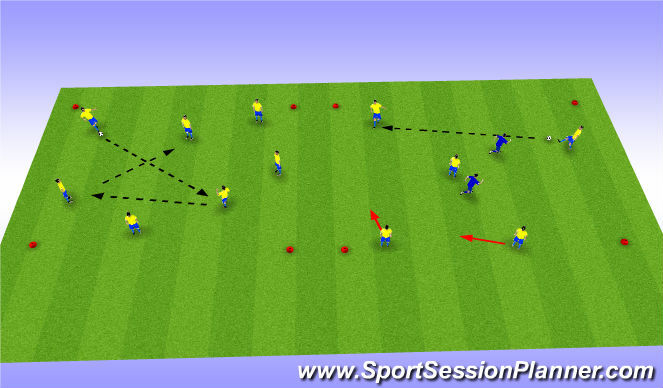 >> Start wit ball manipulation. >> Suppleness - Build up quick dynamic movements and deeper streches. 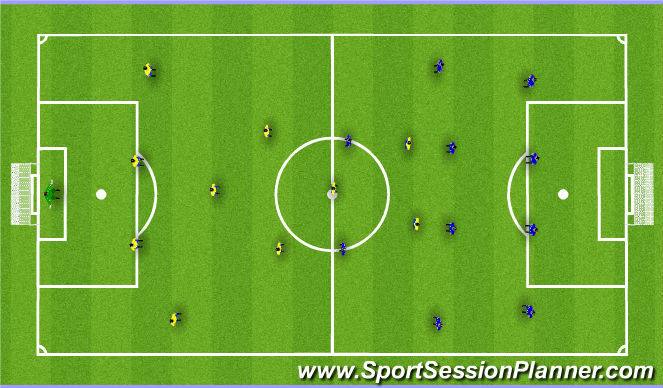 >> Continue warm up wit a 5v2 (12x12). >> Relieve any tightness or sorness. >> Get ride of lactic and in the muscles. >> Increase level of awareness and speed of play. 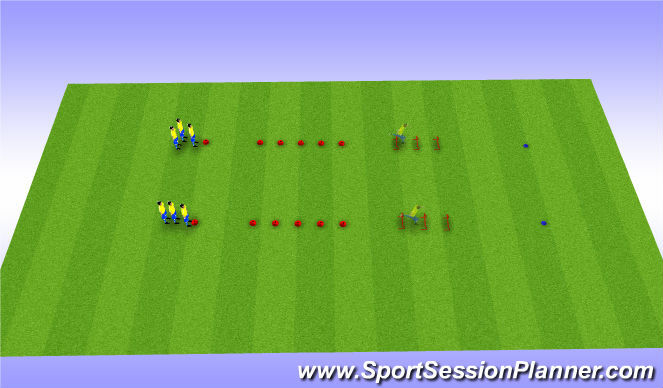 >> To develop speed, agility and change of direction in more football specific. >> Keep the head and eyes up. >> Jump and land over hurdle. >> Both team in a 4-4-2 formation. >> 1st touch to determine next pass.